Add value to residential homes with a lightweight wall system that replicates the look of a rendered masonry wall, without the cost or hassle. Perfect for Boundary Walls, Grand Front Acoustic Fences or External Feature Walls, choose the modular wall style that best suits your home. From our all purpose, all conquering VogueWall, to the larger EstateWall or our refined TrendWall option, we have the right range of flexible walling solutions to match the architectural integrity of your home. 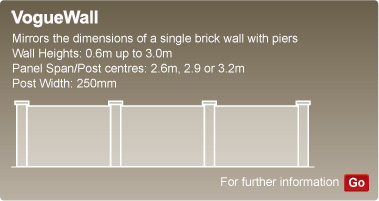 The Modular Wall System has been specifically designed to insulate sound and mitigate noise. This is achieved with our composite wall panel construction. On average and depending on site specific circumstances, a 20+dB reduction in audible noise can be expected after installation of a Modular Wall System using the AcoustiMax 75 panel. This makes the Modular Wall System the perfect choice if you live close to a busy road, train line or in an increasingly built up urban environment. 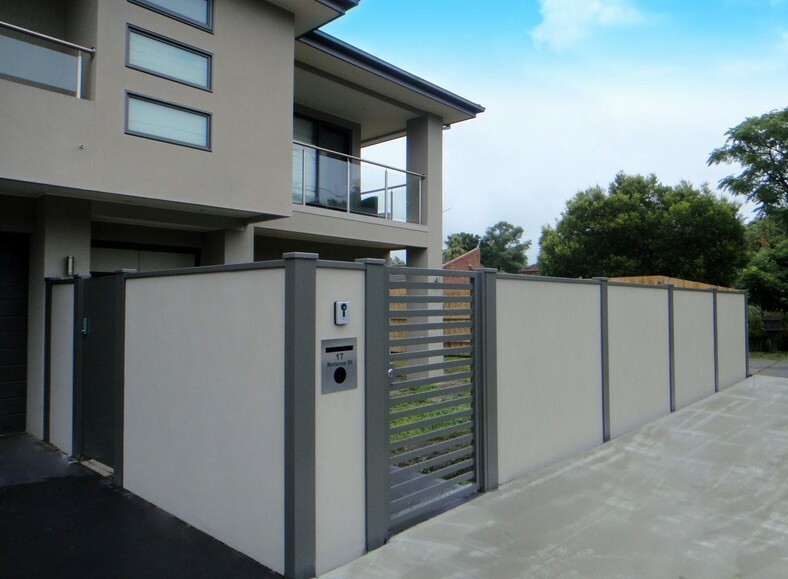 A boundary wall by Modular Wall Systems will transform our home into a peaceful oasis. 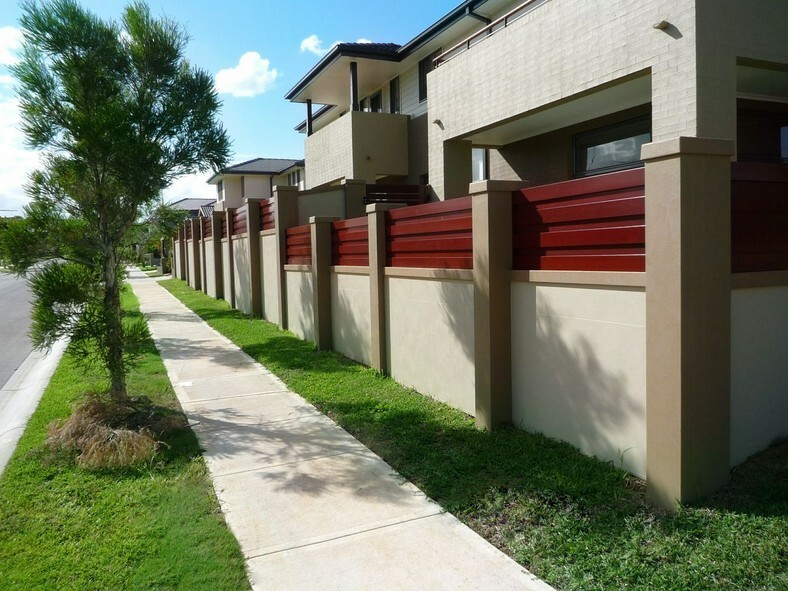 The Modular Wall System consists of composite fibre cement sandwich panels, supported by a unique post system. The post system holds the wall panels in a rigid position whilst allowing room for expansion or movement internally within the post. This means that the walls will never crack. When erected, the wall strength is comparable to that of a brick wall. 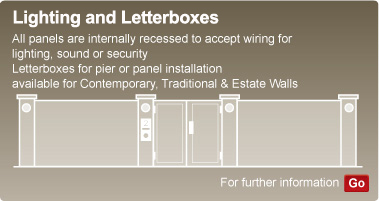 All acoustic wall panels are internally recessed to easily accept wiring for lighting, sound or security. The walls can be finished to individual taste with slats, infills, gates and an acrylic (textured) paint that suits the architectural integrity of he home.